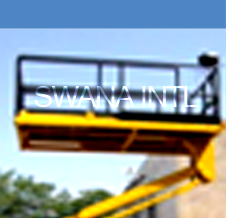 SWANA International, Biggest supplier of GSEs in Pakistan. 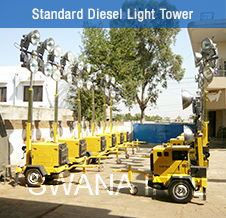 Swana International, The only Light Tower Manufacturer in the Country. 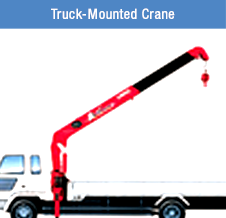 We offer largest range of Equipments in Access Industry. World Known International Partners and Distributionships. 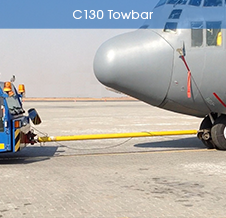 Our C130 towbar is designed and fabricated to withstand the forces of pushback and towing operations when attached to the nose of a C-130 transport aircraft. 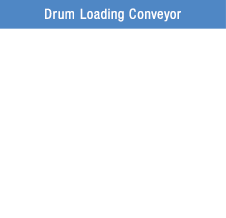 Available in a number of configurations to suit customer requirements. 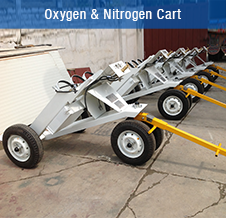 Aircraft oxygen/nitrogen servicing cart comes with an OB-30 oxygen or NB-45 nitrogen booster and regulator. The tilting bottle rack simplifies loading, and unloading of bottles. Front wheels steering provides optimal in-hangar maneuverability by hand, while towbar allows unlimited towing across ramp or airfield. Swana has unrivalled capability in designing, manufacturing and supplying sophisticated equipments required during maintenance, repair and overhaul of the C-130 aircraft. 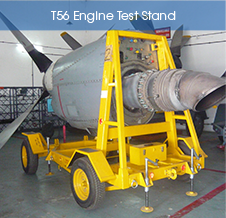 Our overhaul support equipments include fuselage cradle, wind cradle, B1 Access platform and propeller transportation dolly etc. 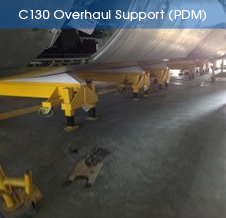 For engine transportation, repairing, overhaul and maintenance, Swana offers a wide range of competitive products for C-130 aircraft. Our products include engine transportation dolly, Engine Hoist , Roll over stand, APU stand and GTC transportation trolley etc. 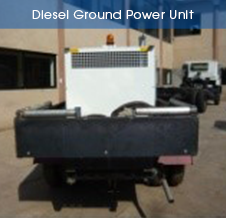 This 60KVA GPU mounted on Nissan Truck is a very rugged, spacious and silent. It is over sized engine ensures a good performance in the worst overload application in 400Hz and also with its 28.5VDC built-in rectifier. This GPU meet U.S. and EURO latest emission standards, Tier 3 and Com 3. 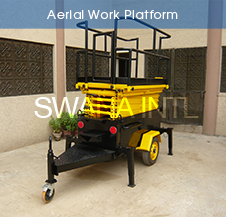 Swana offers various aerial work platforms for aircraft support applications. Our platforms are incorporated with elevated level of safety features while working on aircraft maintenance and inspection. The designs are very compact to give greater maneuverability around both hanger and apron areas. We specialize in providing customised turnkey project management (covering design, engineering, manufacturing, installation and commissioning) with creative and cost-effective solutions. 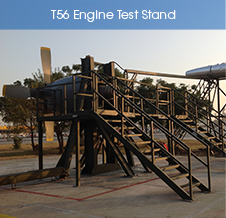 The Swana has manufactured and installed T56 complete engine test facility in collaboration with PAF. 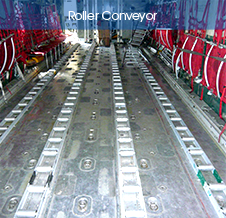 Our indigenously manufactured special metallurgy based Cargo Handling System installed on all available C-130 Aircraft in Pakistan. 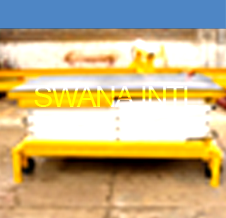 It is capable of being used in many arduous environments including pallet handling. Exclusively design and manufacture GSE for Saab 2000Aircraft include wing cradle, fuselage cradle and wing platforms. High precision design with elevated safety using Using latest Pro-E. Our equipment's quality and design are highly appreciated in Pakistan and by the Saab representatives. An essential inventory in GSE and is typically used to illuminate a wide outdoor/indoor worksite. 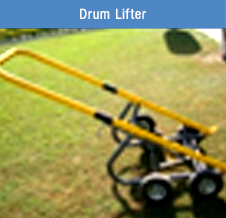 Frequently used at airports, maintenance hangers as well as commercial & industrial applications. 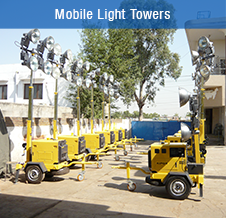 A series of compact, portable and heavy lighting towers is available to suit every application. 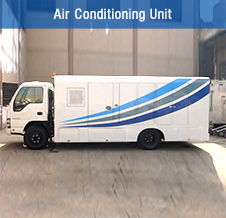 Swana’s Aircraft ACU has sufficient capacity to achieve and maintain comfortable cabin temperatures on any narrow or medium bodied aircraft in any climate. 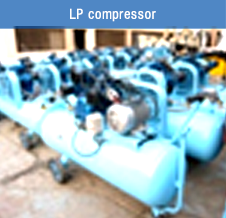 The simple truck mounted and rugged design consist of a diesel engine directly driving for refrigeration compressor and blower. Over the years the dedicated team of expertise at Swana has produced countless bespoke GSEs, served PAF, MROs, Airlines and other private entities and become the leading GSE manufacture in Pakistan. 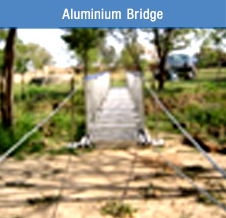 Using latest 3D CAD and Pro-E computer aided software we ensure optimum designs and elevated level of safety. 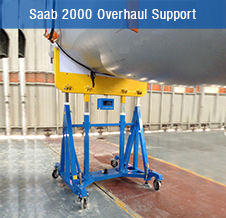 Our bespoke range can vary from tiny aviation tool/part to a complete aircraft docking system. Our access/docking equipments are put through Deflection and Stress tests. We understand access platforms better than anyone else in this region. 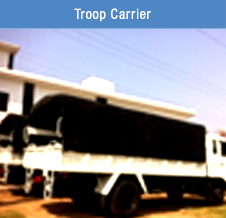 This 5.5m with 250 carrying capacity does not need trailer for transport. It includes a spare tyre, tool box, work lights, outrigger wheel roller kit. 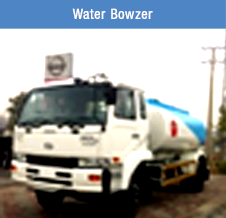 Ensuring easier operation, safety and the quality of our equipment has always been the main focus of our company. 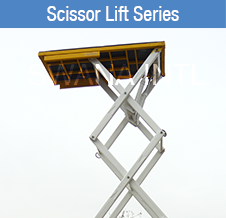 The scissors lift is made of high quality steel and is designed to give a durable, reliable and easy operation. 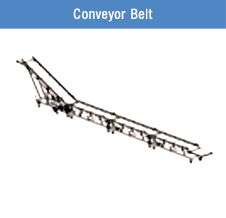 This is an ideal modern machine for lifting of weight upto 1000 Kgs to a height ranging from 1.10 ~ 6.70 meters. 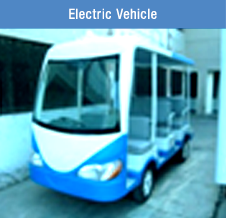 Also, it can be used for maintenance/ repairs and construction work in a factory/ workshop. 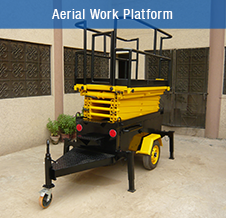 It is powered by 380 Volts AC.We understand access platforms better than anyone else in this region. 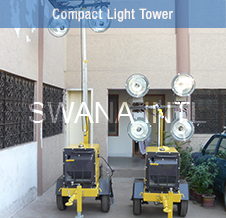 Our small & compact light towers series is very successful and well-accepted in the market. Towable design with portable multipurpose generator contains four 400-watt light fixtures. 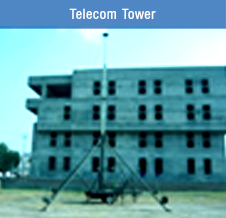 Its electrically operated mast extends up to 12 feet with 270° rotation. Available with 5 and 9 KVA models.